Posted on December 30, 2014 February 19, 2015 by Domi M.
70:30 are also very active on the Unity Asset Store. The Skysane! Skybox Megapack is the top paid package in the Textures & Materials/Skies section. 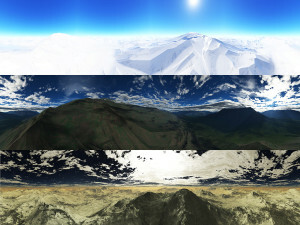 Skysane has 270 sky images forming 45 beautiful and good quality skyboxes which are available in 1024x1024px but currently updated to even higher quality (2048x2048px and as HD package with 4096x4096px). Please check our Services section for more detailed information about special and individual skyboxes, pricing and other assets.